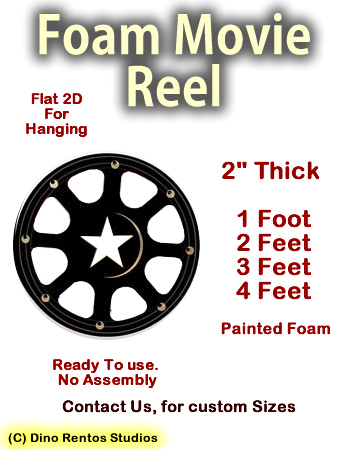 Big Flat Film Reel Foam Prop - Dino Rentos Studios, INC. These are flat film reel facades. Great for any movie/Hollywood themes! Perfect for hanging on a wall or from the ceiling. Select the size you want below.